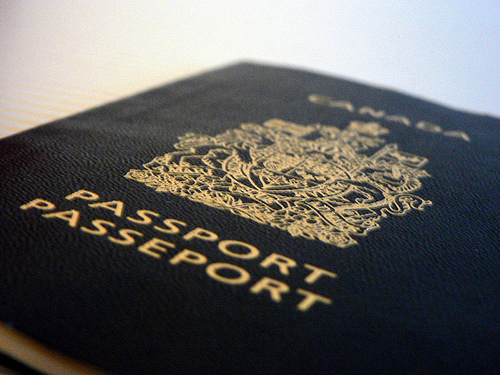 Passport Canada is undergoing a process to update its fee structure. The organization needs to increase its fees so that it can keep pace with advances in technology and international standards and recommended practices, while continuing to provide excellent client service to Canadians. This has been acknowledged by both the Public Accounts Committee of the Parliament of Canada and the Office of the Auditor General, who have stressed that more funding is required so that Passport Canada has the means to issue secure travel documents to Canadians. Passport Canada’s new fee-for-service proposal includes the upcoming adoption of the electronic passport book, or ePassport (rollout is scheduled for completion by 2013) and the fact that Canadian adults will have a choice of 5- or 10-year validity. 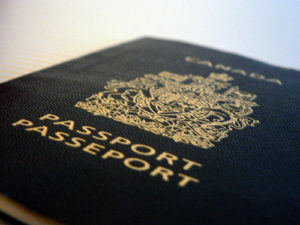 Passport Canada is preparing to begin issuing all new passports as electronic passports, or ePassports. Issuance of ePassports will begin before the end of 2012; the exact timelines will be announced at a later date. This higher-security passport will have an electronic chip embedded in the book. The chip is an extra security feature that will enhance the Canadian passport’s current security features, which include holographic images and a hidden photo of the bearer that can only be viewed under ultraviolet light.The new fees are scheduled to come into effect in 2013. Pending parliamentary review and completion of the regulatory process, the new fee structure will take effect in 2013. I resent that we have to pay for the prime minister & his family to get passports. Not only is it a pittance to him in consideration of his wage (like the expense of a cup of coffee to the rest of us), I also don’t see Canada footing the bill for military families to accompany our soldiers overseas on their tour of duties. Either Harper’s family can stay behind or he can foot the bill for their travel. The rest of us have to make choices and sacrifices based on our finances every day. Oh lovely. No choice but to get passports and they jack the price up so high, it’s a fortune to get them for our family. With five children we will be paying around $1000 or more to renew. WITH ALL THE TECHNOLOGICAL ADVANCES AT OUR DISPOSAL, IT’S DIFFICULT TO JUSTIFY THIS HIGH AN INCREASE. IT IS SIMPLY A TAX GRAB, PURE AND SIMPLE. NOT THE FIRST TIME, NOR THE LAST. I was shocked this year (2016) when I heard the embassy clerk tell me that my passport renewal would be costing me 181 euros! This would include the registered mail delivery expenses of 6 euros. Ironically, the expenses of the renewal along with my Finnish residence card renewal (also an”updated” more costly,version) will come close to 300 euros, making the trip home I had planned, unlikely! It´s basically a PIECE OF PAPER! With this “new technology”, seems to me renewals should be obsolete! My Finnish driving license is good for 30 years before renewal!